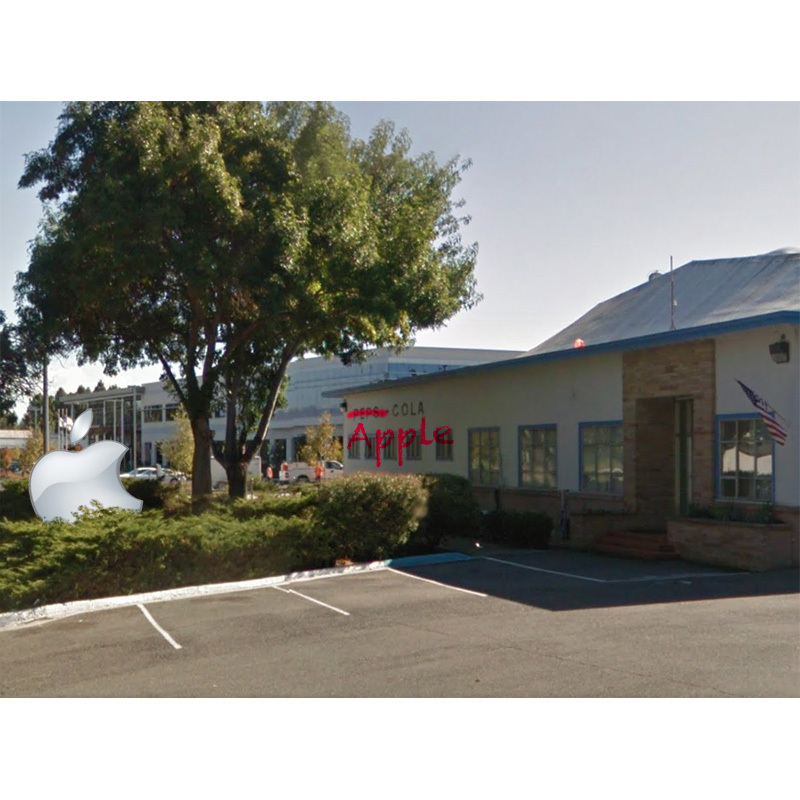 It's no secret Apple has been snapping up Silicon Valley space for research and development, and now it turns out one of those locations happened to be a former Pepsi bottling plant in Sunnyvale. The iPhone and iPad maker isn't saying how the facility is being used, but that's not stopping speculation about Apple Car work happening there. The lease started in November, 2015, and was discovered by Silicon Valley Business Journal only a few days ago. The facility, located at 960 Kifer Road, covers 96,000 square feet and has been vacant since 2013. Apple is also leasing 80,257 square feet at 1150 through 1170 Kifer Road and another 140,000 square feet across the street from that location, both of which is a short walk from the former Pepsi bottling plant. The company's tight-lipped stance on how it uses the space it's leasing is leaving people wondering exactly what's happening behind closed doors. The assumption is that teams are hard at work on the still unconfirmed Apple Car project—Apple's rumored entry into the electric car market. For Apple, the former bottling plant is just another location it can use for various projects; for long time Apple followers, it holds a little irony because former Apple CEO John Scully came to the company from Pepsi after being recruited by Steve Jobs. News that Apple is working on an electric car first broke last February and hasn't let up since. Early this year Tesla CEO Elon Musk called Apple's project, dubbed "Titan," an "open secret." Apple has reportedly hired a thousand people to work on its car project that could come to market by 2020. There aren't any confirmed Apple Car sightings yet, but there's still plenty of time before the expected launch for those blurry photos to show up.